Proms and school dances are wonderful opportunities to dress up and share great times with your closest friends. 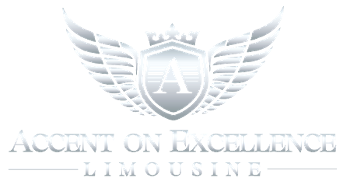 At Accent on Excellence Limo, we provide safe and reliable transportation to and from your prom, homecoming, or school dance. Whether it's a school-related function or a special event, we go the extra mile to ensure you and your friends experience an unforgettable evening. When you call us for your event transportation needs, we make every effort to ensure you make the most out of your night out. You deserve to roll in with style. Our drivers dress for your occasion and take you to the dance hall safely. Celebrate your school's proud traditions and book a ride with us. Our homecoming and turnabout package may be rated for a 3 or 4 hour split. Prom is a time to celebrate your youth, as well as the bonds of friendship you share with your closet classmates. Our prom transportation services provide everything you need to party with style. Celebrate your high school life and make this night special. The memories you make with us will be the ones you will want to share during the reunion. Prom night limo services may be rated for a 3 or 4 hour split package. You deserve to ride in style. For this reason, our event limousine packages are rated according to you. Call us for a quote. After the party, don't forget that we are here for additional transportation services, like game day rides. A luxury limousine service means having access to the finer things in life. While you're out on the road, our technologically advance limousines keep the music going and the party flowing. Each of our special event packages includes complimentary soft drinks. When you get to the venue, you won't have to worry about the timer - you aren't charged for anything while your group is at the dance.